Like a cat, the Cadillac CT6 may have only used up one of its multiple lives. General Motors went on the record and said the CT6 is not dead in the United States and both the automaker and Cadillac are looking at plans to move production out of the GM Detroit-Hamtramck plant to another facility. Automotive News (subscription required) reported on the change of heart Monday and spoke directly with Cadillac President Steve Carlisle and GM President Mark Reuss. Both said the company is evaluating options to keep the sedan on sale past June 1, which is when GM was – according to earlier reports – planning to sunset the model. Details were slim, but both executives mentioned production could move to another, unnamed plant. Another option is to import the sedan from China, where the CT6 is scheduled to live on. Carlisle said importing the CT6 from China is the least desirable option, while adding that the company has some time to sort out a new production plan before the final CT6 rolls off of the assembly line at D-Ham this summer. The news is an absolute about-face after GM included the car as part of its far-reaching car cull and restructuring announcement this past November. A Cadillac spokesperson also confirmed the nameplate’s end with numerous media outlets last year. Cadillac additionally said there would be plenty of CT6 sedans in stock to last the entire year before the car dwindled away. 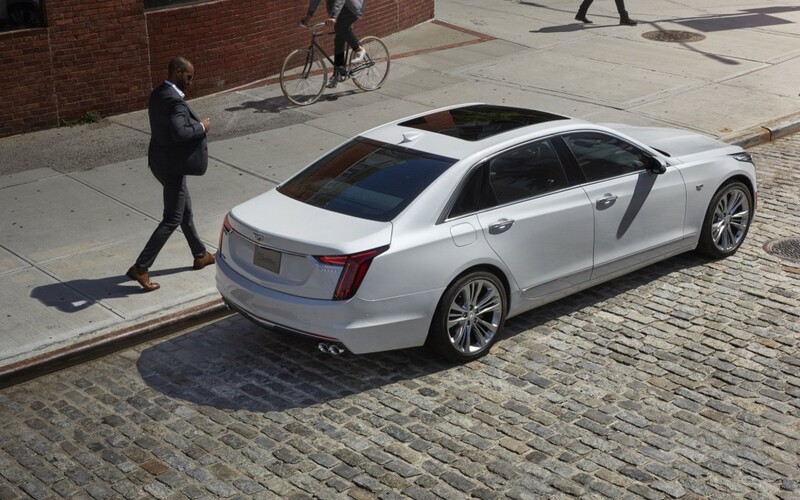 Adding to the confusion, both executives said the CT6 was never intended as part of the restructuring, adding that various officials did not communicate the plans correctly at the time. Carlisle added that the company “never said” the CT6 was going away and the brand is keen to keep the sedan as its banner Super Cruise vehicle and launch the 4.2-liter twin-turbo LTA V-8 engine, aka Blackwing. The CT6 will receive the brand-exclusive engine in a regular-output version making 500 horsepower for the CT6 Platinum, as well as a high-output variant making 550 horses in the CT6-V.
Moving CT6 production will be part of the automaker’s discussions with the UAW as the current labor contract expires this September. But for now, it appears that the large Cadillac is safe from the chopping block. 1. Thank you GM gods, this would’ve been a complete waste if they chopped it. 2. What the hell is with the poor communication, if they knew it was never going to be discontinued why wouldn’t they correct the incorrect media publications? Glad to see the potential for jobs staying in the US. It’s clear to me the executive offices have a case of “the right hand not knowing what the left hands is doing”. Sheesh, get you’re act together. It was likely communicated that the CT6 production would be ending at Hamtramck, and thus was assumed by those writing the press release that it meant the car was dead with all the others also being announced. That does seem possible, but why would it take them this long to clarify? I can’t believe their plans didn’t change somehow. It would be interesting to know why—and what permanent damage was done to the perception of the car by announcing it was being cancelled. As GM noted, it would be receptive to union offers and other dealmaking. I also suspect the Omega-based SUV is farther off than anticipated. So GM is probably going to add a shift at another plant to make CT6, and appease the UAW. Cadillac then gets to keep its 7-series fighter, and hopefully, more than 275 CT6-V’s. Well, this thing is not a 7-Series fighter. It starts about $30,000 less than the 7, and it’s also not as good. If this thing really were positioned as a 7-Series fighter, prepare to be crushed. Market positioning, vehicle size and sales data include this vehicle in the same segment as the 7 series; of which its outsold since 2017. Of course it did. It’s cheaper. It’s in the same relative size category as the 7. But it’s lower quality, and it has the price to go along with it. That’s not a knock against the CT6, it just competes in a lower category of car. A category which is admittedly sparsely populated. If anything, I’m surprised people want to put this alongside the 7/S/A8/LS. It’s simply not as good, by a huge margin. It’s well-settled in to its own niche, where it can be happier. You’re blowing hot exhaust unless you can provide specifics of what makes the CT6 a lower quality vehicle. And don’t come back with it doesn’t feature built in aroma dispensers. It would be very interesting to find out which version Made in China or Made in Murica is of better quality. GM has the numbers, but of course, they won’t release that information. My money would be on the Chinese worker who is more dedicated and healthier with a far better diet. No lazy fat boys on the line. Brand new plant and equipment with the exact same components. Best of all, no union to mess things up. Oh gosh and so sad! Obvious trolling at its best. Try not to make your intent so obvious going forward. Where do I start? I’ve driven both of them. I guess, if you get really abstract, you could ask some Zen question like “what is luxury?” or whatever. The CT6 feels like a class below in its ride comfort, sound isolation, engine smoothness and sound, and general NVH. I’m sure plenty of people like that, and I’m sure you can find a way to excuse it by saying “it makes driving more enjoyable”. Nevertheless, that’s not the goalpost for the super-luxury segment. The CT6 is not as good. It’s too loud and rough to feel like it’s in the same category. It’s not bad, it’s just not as good. The interior is okay, but it’s not good enough. The leather on the doors is cheap and stiff. The leather covering the center console and center screen surround is cheap and stiff. There’s hard scratchy plastic on the bottom of the doors. There’s hard cheap plastic on the lower part of the center console. In the lower-tier trims, the big panel across the dashboard is cheap low-quality material! You have to *upgrade* to have wood on your dashboard. And unless you upgrade to the top *Platinum* trim, the entire center console is plastic too! You don’t get luxury materials on your center console unless you’re at the highest trim level! The buttons are all plastic; the S-Class set the standard for metal buttons when it came out in 2014. Some of the CT6 buttons are from Chevys, with a little fake plastic chrome added. The cheap plastic seat control buttons on the door are themselves set in cheap plastic, and fidget around in their setting. The speaker grills are plastic. The rear window shades are manual. The carpet is low quality and course. The glove box door is poorly fit and fidgets around. The center console can be moved with your hands back and forth. The meeting of center storage compartment and the rest of the center console has a huge gap and is misaligned (the recent redesign may have addressed this). The wood itself looks slapped on, it’s not trimmed in metal to integrate it in to the surrounding material. The trim materials are large and generic and not shaped well to integrate into the design. The overall effect is okay. It’s not bad, but it’s not up to class-leader standards. The CT6 is probably on-par in terms of technology, but that is becoming less and less of a differentiator of luxury vs. mass market cars, as regular cars are routinely getting features that were cutting edge just a year or two ago. It’s more of a necessary prerequisite these days. Overall, it’s just not as good. It’s not a terrible car, and in the grand scheme of things, the shortcomings are not dramatic. But the graduation of standards and luxury from the E/5/A6/GS to the S/7/A8/LS are incremental, but they are distinct and specific. The little details separate the “men from the boys” as it were. Such is the nature of luxury cars, higher costs and diminishing returns as you go up the ladder. Understandable why some wouldn’t want to pay for it, but they probably couldn’t afford it anyway. Oh, plastic speaker grills, forgot about those. Blech. I have to disagree with you as well. The quality is there – I am turning in my 2016 CT6 lease next month and getting a 2019 – but the refinement is still not up to par. The interior looks OK but the materials, etc. are nowhere close to the top line Germans and the 3.6 engine is adequate but lacking the refinement of the BMW I6. This is a very good car, that could be a great car with a little more work AND it’s much better looking than the BMW. Agree with a lot of what you’ve said. My 2017 Platinum TT has been rock solid. Refinement is the final step. Interior materials one step too low, mishmash of materials in the interior, two interior color choices, on a nearly $90k car!!!!!! With the addition of the Blackwing, the only disappointing aspect is the interior! Sadly, can’t trust GM management, specifically what the future of Cadillac may be and have gone with BMW M550iX as the replacement for the CT6 Platinum. Mark my question is why can’t Cadillacs management ,engineers and stylist see what you see and fix it? Is it that they see this but refuse to spend the money to fix it in order to squeez every nickel of profit out of the vehicle. If that is the case are they so blinded by profits they don’t see the harm they are doing to the vehicle and the loss of sales they are causeing therefore loosing profit. On top of that you have GM giving conflicting information about the demise of the vehicle. In my openion not a good way to do business. From the folks I talk with, it’s the culture – think back to the Lopez purchasing era… I understand profit and how costs of parts are always in play but for what i would imagine would amount to a few hundred dollars, they could really make the interior of this car fantastic. Case in point: I drove a 2018 Escalade last week while out of town. The area of the steering wheel where the horn/airbag was leather…or at least looked and felt like it but the center cap on my CT6 is plastic and looks like hell…and I look at it every day! Frustrating. When I use the window switches on the driver door, the smooth hard plastic bugs me every time I touch it. No change in design needed, just spend an extra $200 on improved materials and the car would be transformed. Ride and handling are better than the Germans in my opinion and the four wheel steering makes the car drive small. Great car mechanically and dynamically but GM can’t seem to get the idea that interiors are where we live and need to be better. And this isn’t just a Cadillac problem, the interior of the 2019 Silverado/Sierra are sub par as well and really hurt them when compared to the new Ram truck. They need to improve interiors across the brand range. Not the V you won’t! According to Cadillac website, car is sold out, all reserved for. I have a Platinum and I love it. I had waited until Cadillac came up with a car to replace the DTS. Only took them two months to finally relieve my stress geez!!! I think everyone knew it doesnt make any sense to discontinue you technology showcase. CT6 brought us a lot of great new things (Blackwing, Rear-camera-mirrior, that beautiful architecture). Hopefully they just put a crossover or something in Detroit Hamtramck to keep it open. Only time will tell. What a complete self-inflicted PR disaster for GM. The CT6 is actually a decent seller in it’s class (XJ, 7-series, LS500, etc.) I figured Lansing would get it. It wouldn’t fit on the Alpha carriers, would it? For a company that is already struggling with a perception problem this does nothing to instill confidence in in this company. When this sedan is already struggling to keep the potential customer guessing whether it is cancell or continue production is not a good way to instill confidence and or improve sells. I wonder if they’ll offer a new version for coach builders now that the XTS is going away. That would make sense, but is highly unlikely because the CT6’s advanced mixed-material construction doesn’t make for a great coachbuilder/upfitter/modifier product. Those shops typically work best with a traditional steel construction, which is what made the XTS such a good fit for upfitment/coachbuilding. I would expect Cadillac to push the Escalade and the leftover XTS sedans to that market. It would be very costly to do that with the CT6 given the chassis. I would like to see a crossover SUV built on the CT6 chassis to slot under the Escalade, although that would probably also be too costly for most livery services. Best troll of the day so far. Better than Trump serving a Fast Food buffet for Clemson. My prayers have been answered!! Thank, goodness. I just bought a 2018 CT6 about 6 weeks ago and I’m in love with it. I was so confused as to why it would even be considered to be discontinued. Needless to say, this is the RIGHT move by Cadillac to keep it’s flagship sedan. As a Caddy loyalist, I’m simply elated…and relieved. I’ll believe it when I see an actual 2020 CT6 model. One can only hope this is real. Now they need to continue making the impala! All GM needs to do is recycle the CTS platform, reshape the body to make it look more like a Chevy. Now you have a new rear wheel drive Impala and a perfect police interceptor with available all wheel drive, 3.6 v6, 5.3 v8 or 6.2. They can scale the cost down by making a Buick above Regal (with turbo 3.6 power as top engine) and a Chevy above Malibu (with 6.2-6.6 v8 as top engine) out of the CT6. that is one handsome vehicle. This clarification will be good for CT6 sales going forward. Nothing worse than potential buyers knowing that the end is near. So much engineering and design went into this vehicle. Adding to the confusion, both GM executives said the CT6 was never intended as part of the restructuring and said various officials did not communicate the plans correctly at the time. 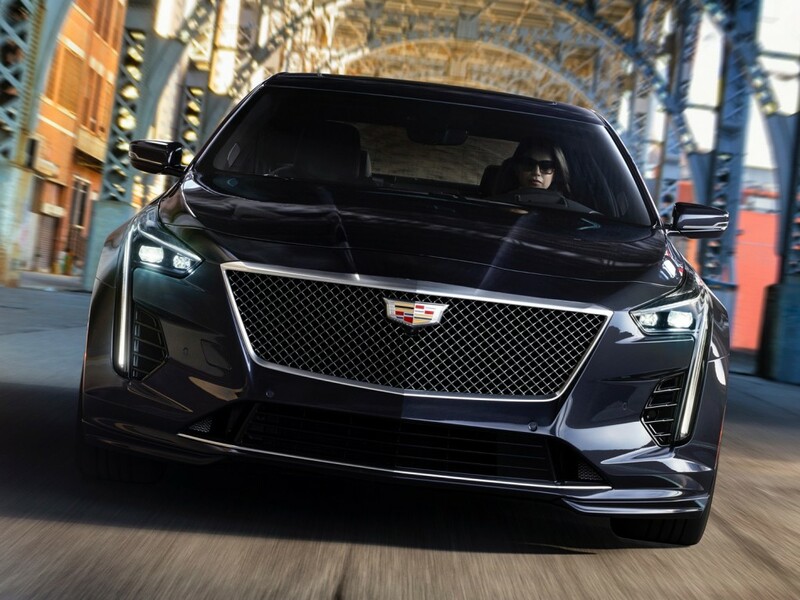 Carlisle added the company “never said” the CT6 was going away and the brand is keen to keep the sedan as its banner Super Cruise vehicle and launch the 4.2-liter twin-turbo LTA V-8 engine. If the above statement is true why did it take them two months to correct it? If it take Management that long to realize a major mistake like that make you wonder about them. There again it brings up the point of confidence. This means this car will the BlackWing V8 must kick some serious booty!! Not to mention it’s the only varient with GM’s Super Cruise Technology! I’m very glad to hear this news, and maybe it’ll get some their jobs back as well!! Ok, Can we save the Impala? Maybe have a new Impala on this platform? Do that and I will start to forgive.